Hartford, CONN., April 13, 2017 – Buckle up for an all-new Daniel Tiger’s Neighborhood one-hour special when “Tiger Family Trip” premieres Monday, May 8, on Connecticut Public Television (CPTV). As many families prepare to travel during the spring and summer, Daniel and his family embark on a first and memorable road trip, helping preschoolers learn key skills and strategies as they experience their first trips. In “Tiger Family Trip,” Daniel is excited about his road trip adventure to visit Grandpere, but he doesn’t know what to expect during the long car ride. With Mom Tiger’s assistance, Daniel experiences new sights and activities and learns about the many exciting things to do and see when you’re on a trip with your family. 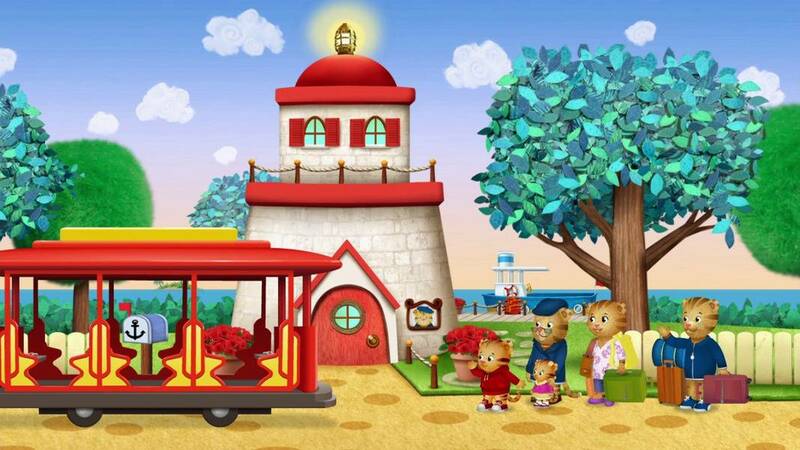 “Tiger Family Trip” and new episodes will premiere on CPTV on weekdays at 9 a.m. and will be available on the new CPTV PBS Kids 24/7 live stream at PBSKids.org. Books, including “Tiger Family Trip” and “Going to See Grandpere,” are now available on Amazon. 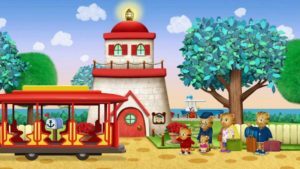 The “Daniel Tiger’s Neighborhood Travel Album,” which features 13 new songs, is now available on iTunes, Amazon, Google Play, and Spotify. A new DVD from PBS Distribution called “Tiger Family Trip” will debut on Tuesday, May 16. In addition to joining the Tiger Family on their trip to Grandpere’s house, viewers can watch Daniel attend a carnival, enjoy fireworks, and set up a lemonade stand with Prince Wednesday. “The Lemonade Stand” – Daniel and Prince Wednesday are making a lemonade stand together. But when they don’t agree about how to hand out the lemonade, they need to learn to express their mad feelings so they can find a solution… and provide lemonade for their neighbors! “Mad at the Beach” – Daniel is at the beach with Miss Elaina and they’re building a sandcastle. Suddenly, the creation they worked so hard to make is knocked down by a wave, and that makes them mad, mad, MAD! Dad teaches the kids that it helps to express your mad feelings. “Daniel Feels Two Feelings” – Up, up and away! Daniel, Katerina, and O are excited to fly a kite, but are frustrated when they can’t keep the kite in the air. They find out that it’s OK to feel two feelings at the same time. “The Neighborhood Carnival” – The Neighborhood Carnival is in town, and Daniel can’t stop thinking about riding the Ferris wheel for the very first time. But when he gets to the carnival, he feels both excited and scared. Will Daniel ride the Ferris wheel or wait until next year?